Round brilliant cut diamond bezel set solitaire engagement ring. 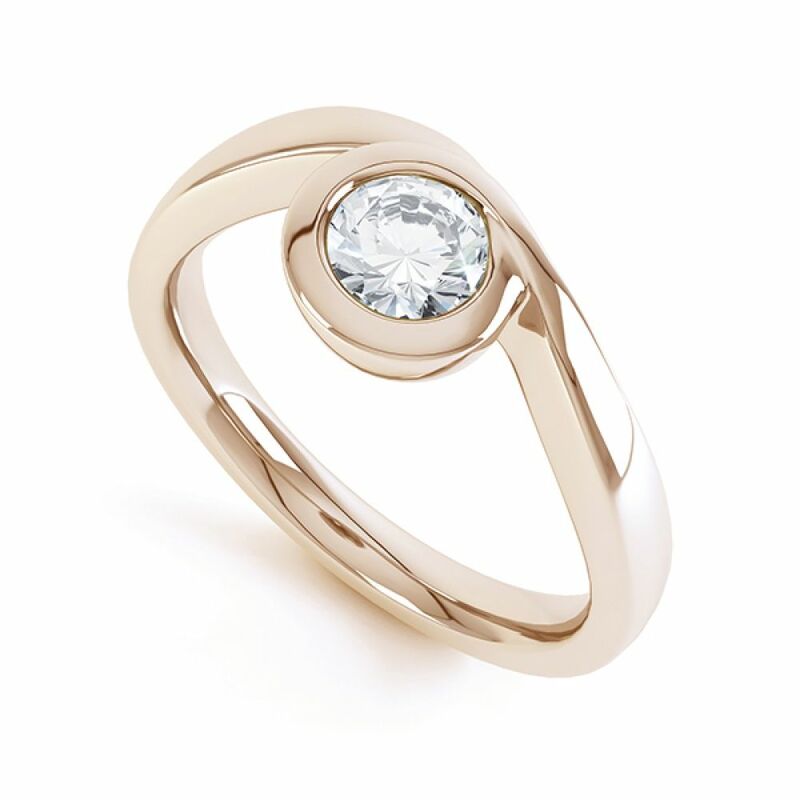 Beautifully styled, the Embrace design flows around a modern Round Brilliant cut Diamond. 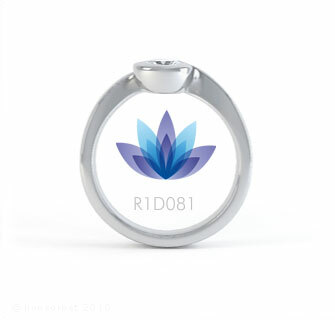 Benefitting from protection, the enveloping bezel setting is mirror polished to perfection for maximum shine. 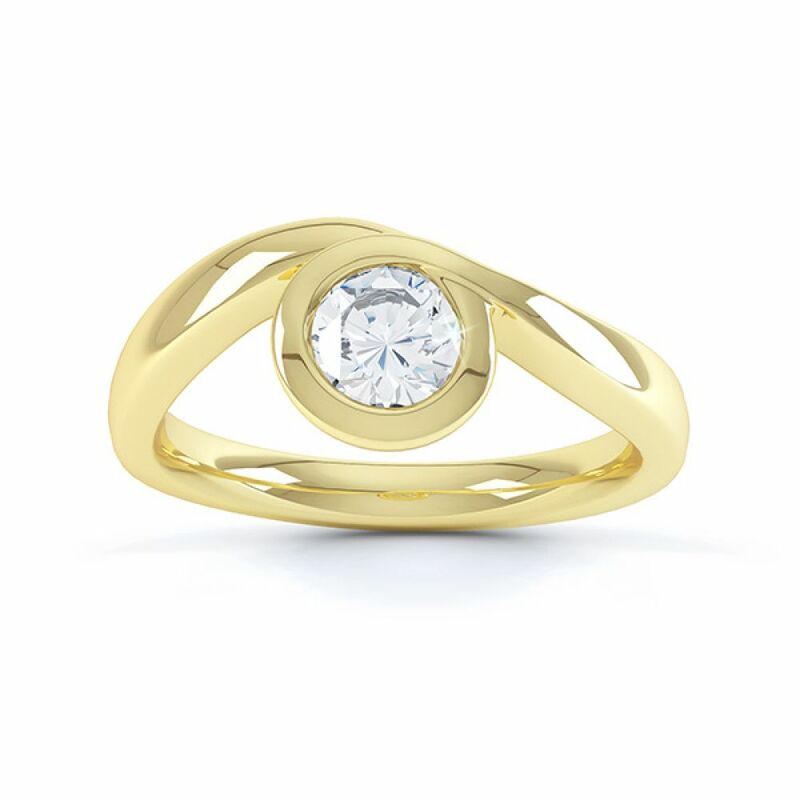 From within the asymmetrical design of the ring, a faceted natural Diamond dazzles, setting alight this unique design which perfectly balances beauty with contemporary jewellery design. We can create your design in 18ct Yellow Gold, 18ct White Gold, 18ct Rose Gold, Palladium and 950 Platinum. 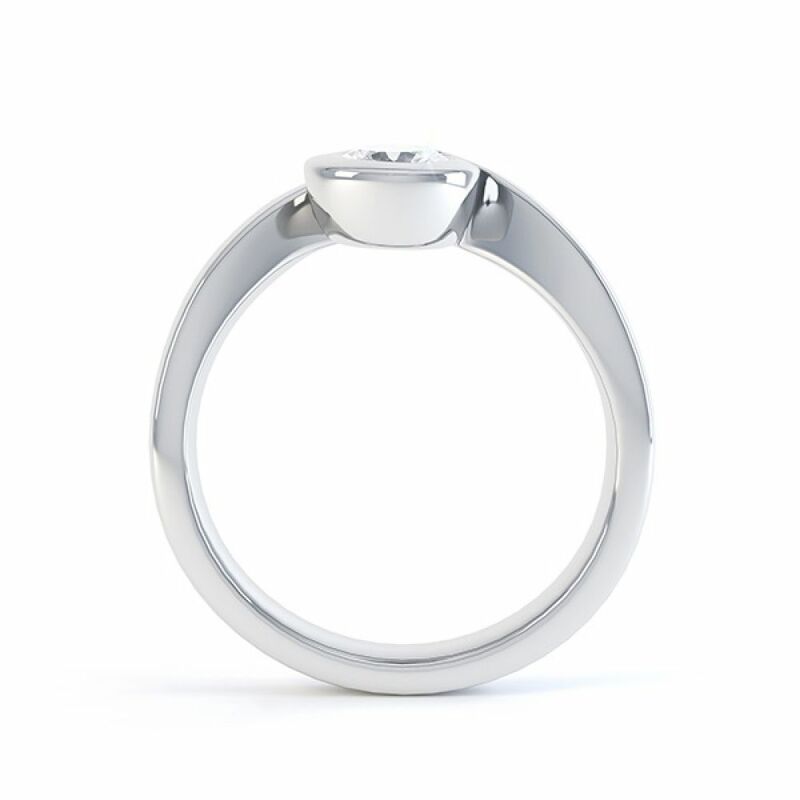 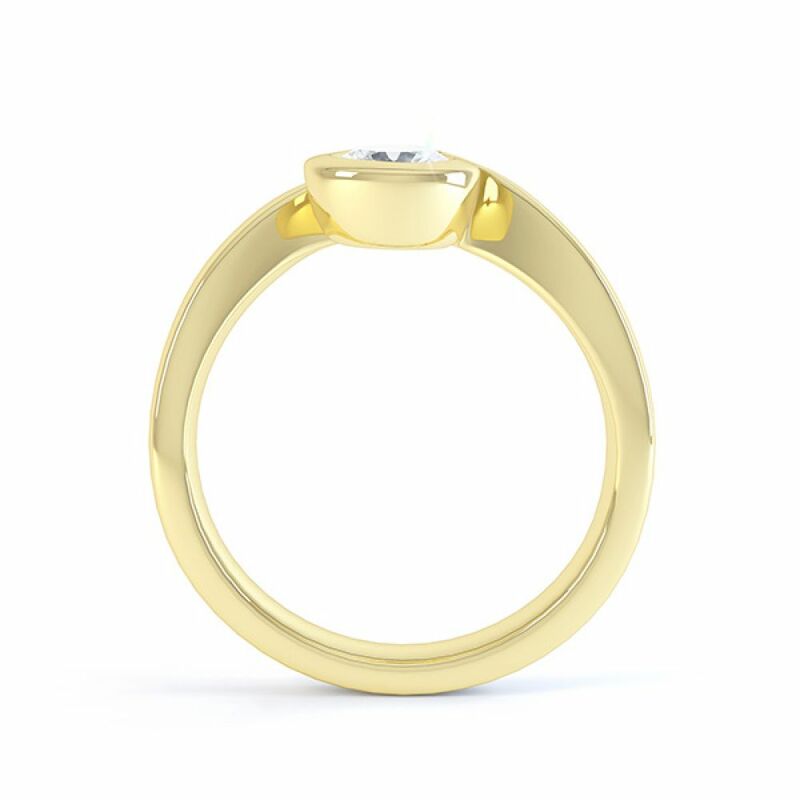 Complement the Engagement Ring with a matching shaped wedding ring available to order separately. All items arrive beautifully boxed, in pristine white packaging, hand delivered by secure courier to your door.